I was somewhat beside myself when I received Gerties New Book for Better Sewing. If there was ever a set of patterns just made for me it’s this one. The first thing I made out of the book wasn’t for me though. 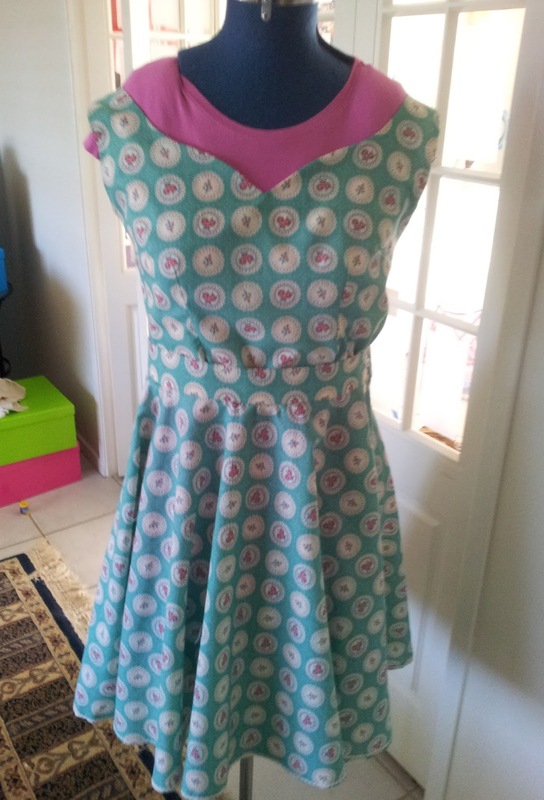 I helped a friend sew a 1950s inspired outfit for a 50s party. We made a circle skirt and then on the spur of the moment decided to make a top to match. We used the bodice from the sultry sheath. 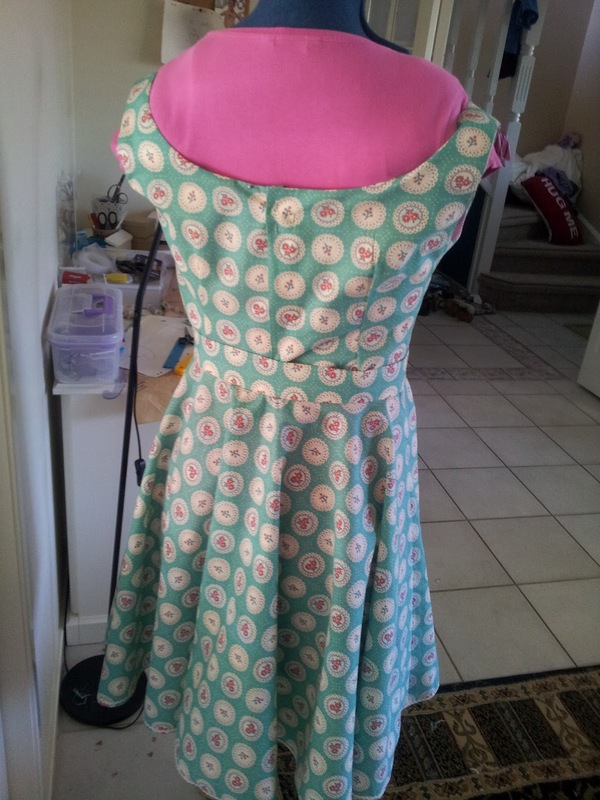 This pattern is drafted for a well endowed lady (AKA larger than a B-cup/either of us) so I did a quick and simple SBA by redoing the darts during a muslin fitting, going from two waist darts to one and lengthening and slightly raising the bust darts. Wow, I wish I had someone to quickly adjust a muslin for me when I am sewing, it really saves time and angst!! I also removed fabric at the side, straightening the seam and taking it in a little. I also lowered the armsyce by 1cm at the underarm as it was a bit snug. The neckline is beautiful and the bodice fits like a glove. We also added a back button opening which allowed us the fit the back nicely. There was quite a bit of excess fabric in the back, allowing for a nice overlap of over an inch for the buttonholes without having to change the pattern at all other than adding on some extra fabric at the centre back seam to act as a facing. I fully lined it using this method here (thank you Slapdash Sewist).